G5 Night Cap at Fizz, Las Vegas | FineLine Graphics & Design, Inc. Creating an invitation to an event while also getting the attendees excited for it can be a balancing act. 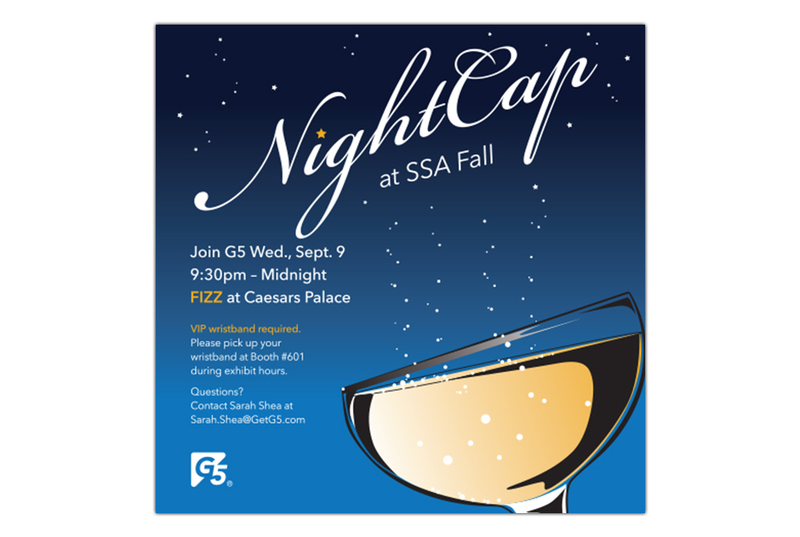 G5 hosted a NightCap party at FIZZ, which is a champagne lounge in Caesars Palace, Las Vegas. 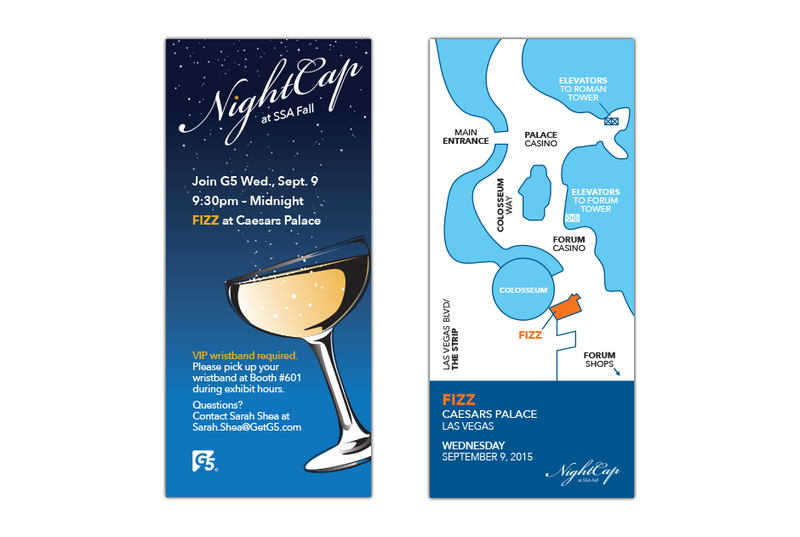 To draw attention to this night time event we illustrated a champagne glass in which the bubbles transform into the night sky. To go along with this piece, we also created a pocket-sized version with directions to the lounge. By having these two pieces work together, the event was a success and people were excited to attend.